Gel manicures are about as controversial as nail polish can get. Between the mandatory UV light to cure it and the difficult, risky business of removing the polish, we often feel like the shiny, long-lasting gel finish just isn't worth the pain. 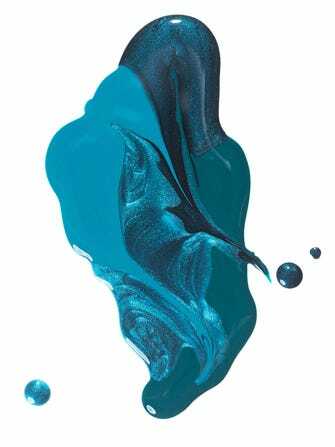 Unless, of course, we're talking about Sally Hansen's Miracle Gel, a soon-to-be released gel-inspired lacquer that might be an industry game changer. As reported by Women's Wear Daily, the innovation "produces the shine and durability of gel manicures without the need to cure the color with an LED or UV light." And, it comes off with regular nail-polish remover. So, if it cures in natural light and comes off easily, what exactly makes this a gel polish? According to the article, "Miracle Gel is distinguished by its photoinitiator in the topcoat that forms with the oligomer in the color polish, producing the shine resembling a gel manicure that lasts up to 14 days." In other (more understandable) words, this nail polish is shiny and lasts a really long time because of the way a chemical on the topcoat interacts with a chemical in the polish.